The appreciation of audiotape as an overdetermination and coordination in playback culture’s framework involves a relationship with its systems of music characterisation and symbolism that gives rise to a central question of indeterminacy and epistemological limits that involves a kind of musical post-structuralism. 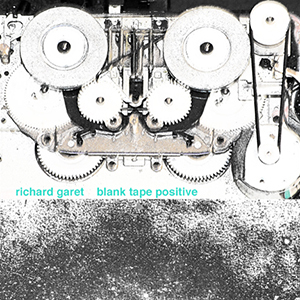 Blank Tape Positive is a borderless listen, the device has been turned inside out and yet it includes its functional histories as scree, positing the illusion that its systems find and mash the correspondingly coded memory within the listener. Its beauty comes from recognition and ownership, as if its sound is a long-lost friend laced with the lines of indiscretion that relate to an unknown intimacy, despite recognition. The sound is spliced into two sections simply titled Blank Tape Positive 1 and Blank Tape Positive 2, the sounds themselves separated by a short silence and a change in pitch and tone, also with an aggression in part 2 that brought a blush to my cheek. These detours act as a screen that diverts listening toward the musicians outstretched hand. To properly listen, this path should be resisted (I decided), and the search for an entrance to the sound, less to the musicians liking might be more collaborative, but Garet’s offer is very tempting and this particular listener found herself falling into his offered beauty with a circular regularity. My review has been rewritten several times, and is late according to the calendar. 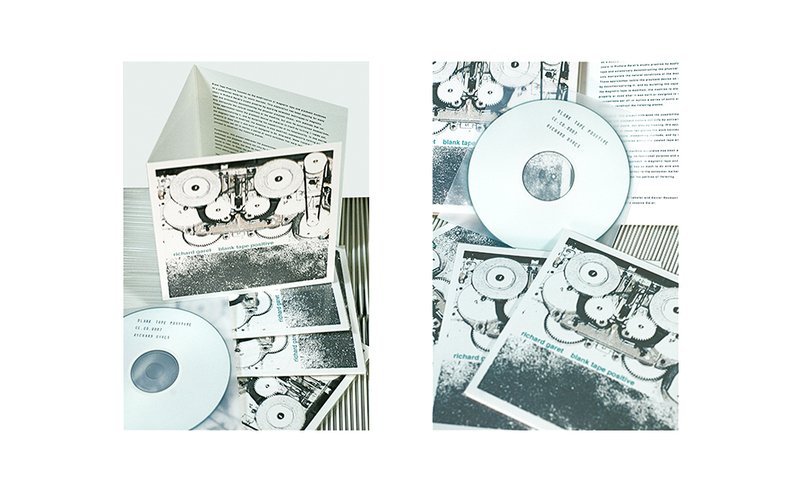 Blank Tape Positive was released by Contour Editions in October 2013. However, in my defence, I’ll add that I found this music to be abyssal, and it took many searches to come up with something that barely scratches at the surface of the beauty I felt while I listened to Richard Garet’s offerings. To my knowledge, the recording is still available. You can contact Contour Editions here.